Today I wanted to share some holiday outfit inspiration. This outfit combines a few of my favorite textures and was so fun to put together. These velvet pants are literally the most comfortable pants ever. They are soft, and they have an elastic waist! 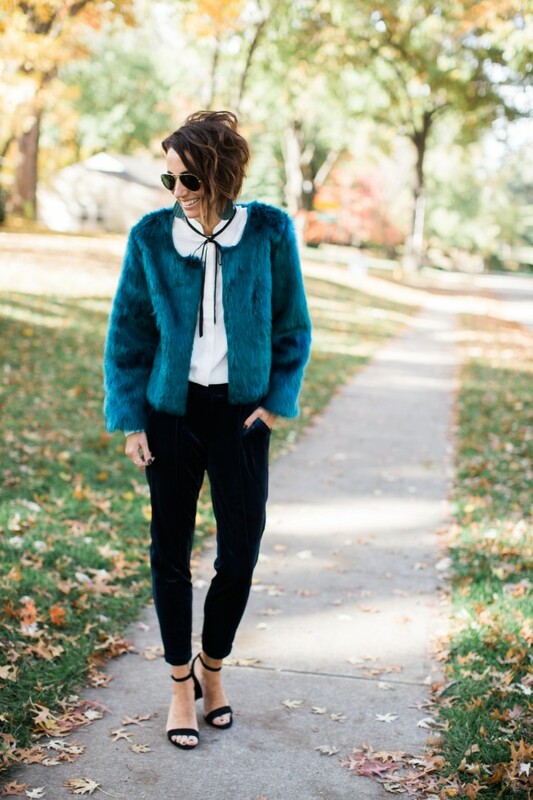 I love a monochromatic look, so I paired these dark blue pants with this dark teal fur coat and our Evergreen Knit leather earrings. You could also wear these pants with a fun graphic tee and heels! Now where am I going in this combination? Good question! We don't have very many fancy Christmas parties to go to this year, but I do want to get out on a few holiday dates. I thought I'd share a few date ideas with you so that you too can find extra reasons to put on some velvet pants or a fur coat and feel fabulous! 1. The ballet. This goes without saying, but it wouldn't be Christmas time without The Nutcracker. I'm hoping we can make it this year. 2. A holiday play or a musical. The Christmas Carol is a classic and our local theater performs it every year. I'm sure you can find something in your area too. 3. A Christmas concert. Whether you attend something large or small, holiday music makes for a great date and really helps with the holiday feels. 4. Fancy dinner date. Splurge a little on a fancier restaurant and make reservations. Invite friends to really make an event of it. 5. Host a dinner party. If all else fails, host your own party. You can even cater out the food to make things easy. Set the dress code for fancy and invite friends over for treats, drinks, and a few games. And speaking of holiday fanciness- guess what was restocked today?? 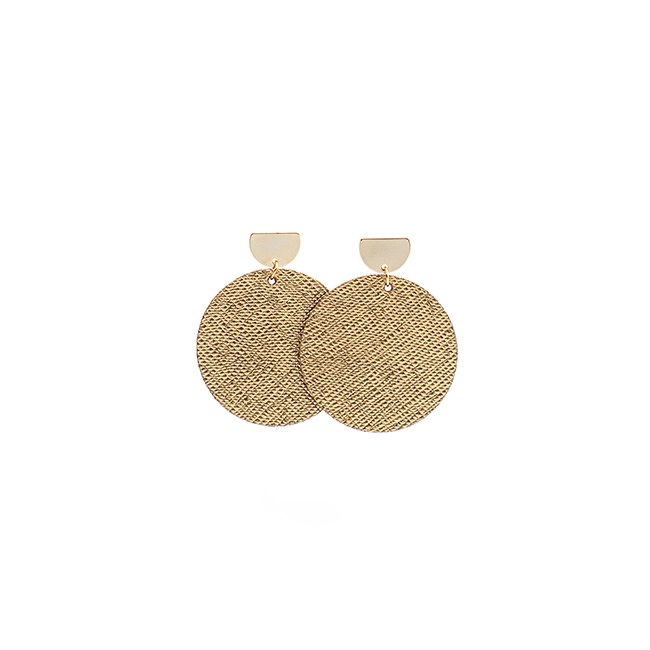 Our Disc Statement Leather Earring in both Gold Leaf and Gold Rush. These beauties are so pretty for the holidays and I'm not sure how long this restock will last! Snag a pair or two now while you can. What are you getting dressed up for this month? Christmas Eve dinner? A work party? Leave a comment with any of your ideas below!